Homegrown cab-hailing major Ola, run by ANI Technologies Pvt. Ltd, on Tuesday launched project Guardian, a real-time monitoring system aimed at ensuring the safety of its customers, a company statement said. Guardian will go live in Delhi and Kolkata by the end of next month and will be rolled out in other cities by the end of the year, the statement added. Launched as a pilot in Bengaluru, Mumbai and Pune, the project is part of Street Safe, the firm’s national programme on safety launched early this year. Street Safe promotes rider and road safety in India through workshops and training on defensive driving, gender sensitisation and eye checkups for driver partners, which are being conducted across the country. As part of project Guardian, Ola’s Safety Response Team will analyse data such as route deviations, unexpected and midway stops, and other indicators, and will address any safety concerns that arise. The team will use real-time data to assess threats to safety. Besides, the Bengaluru-based company is working with government authorities to identify unsafe routes and areas, which will be mapped into the monitoring platform, the statement added. Through Street Safe, Ola has run a pilot programme to prevent drivers with false identities from joining its platform. To verify their identities, driver partners are required to take a selfie and share it with the company through the app, following which it will be compared to the image available on record. Ola has also updated its app to include larger pictures of the drivers. To further deter drivers from creating fake profiles, Ola plans to conduct offline audit checks at transport hubs such as airports, railway stations and bus stands. The trained audit team will not only authenticate driver partners but also inspect the state of the car. Ola has launched the programme at Hyderabad and Bengaluru airports, the statement said. 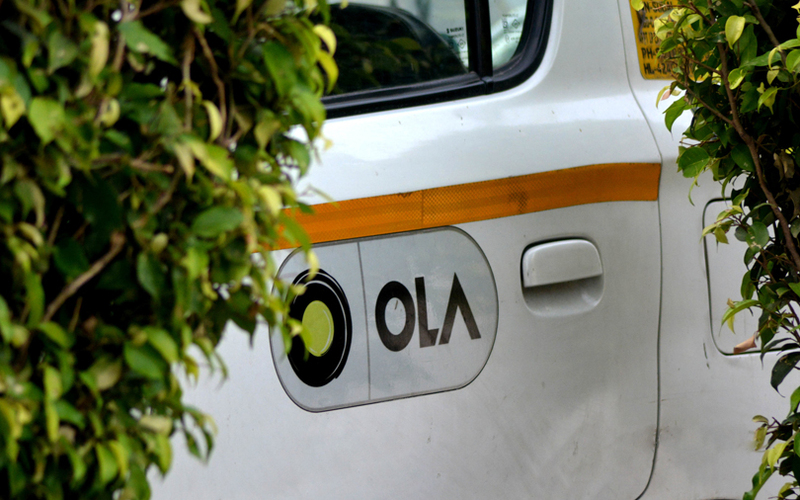 “Ola will continue to innovate and use artificial intelligence and machine learning algorithms to further enhance the Guardian project as it is rolled out nationally,” Ankur Agrawal, vice president of business excellence and safety at Ola, said in the statement. The Bhavish Aggarwal-led company has been on an expansion drive ever since it raised $400 million (Rs 2,620 crore) in October last year from Chinese internet giant Tencent. The round valued the company at $3.8 billion then. Since then, the Bengaluru-based firm has expanded its operations overseas starting with Australia, followed by the UK and most recently New Zealand. It is also currently in talks to raise fresh capital from a number of marquee investors. A media report on Monday said that the firm is looking to raise $1 billion from South African conglomerate Naspers and from Singapore’s state investment arm Temasek and two other funds. The deal is expected to value the company at $7-8 billion. Last week, Ola raised $50 million from two new Chinese investors, which is likely to be a part of the $1-billion funding round. Earlier, a media report stated that Ola’s co-founders along with Temasek were in the process of buying out less than 10% stake in the cab-hailing firm through a secondary transaction. Ola has also expanded its businesses, venturing into online food delivery. In December 2017, it acquired Foodpanda from its German-based parent Delivery Hero and had invested $200 million into the venture.